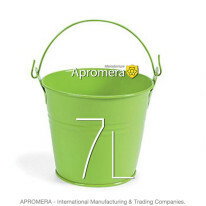 Galvanized Metal Bucket is essential equipment for any gardener. 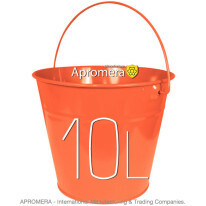 It is helpful when it is necessary to water plants, carry fertilizers and liquid across vegetable plots, it is used to collect fruits and vegetables. 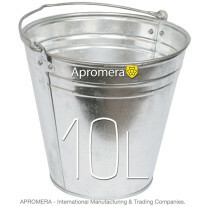 Galvanized Metal Buckets. 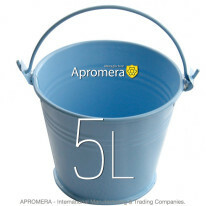 They can be used to mix, transport and store various construction and chemical solutions and compounds. 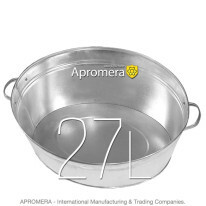 They are also known as buckets of stainless steel and are widely used in agriculture and gardens to prepare feeding and to water plants. 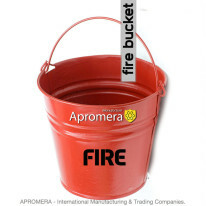 Colored Galvanised Zinc Buckets with Lids. 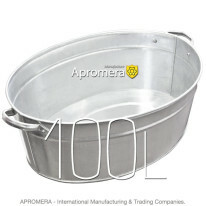 They are most frequently used for domestic purposes: cleaning and decorating. 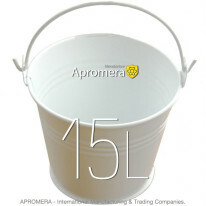 Our catalogue also offers small decorative buckets of various colours which will surely brighten up your home. 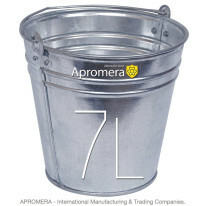 Zinc Bucket is delivered anywhere on request. 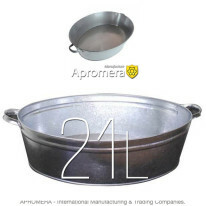 We guarantee fast delivery from the factory in Ukraine or the wholesale warehouse in London, UK to any country in Europe. 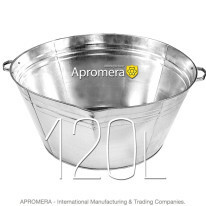 The company specializes in Wholesale trade of Galvanized Metal Buckets with Lids in such countries as Britain, UK, Germany, France, Spain, Italy, Belgium, Sweden. 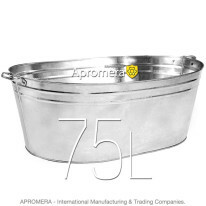 How to Choose Galvanized Metal Buckets? 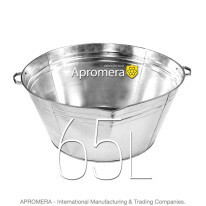 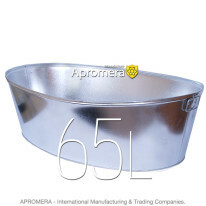 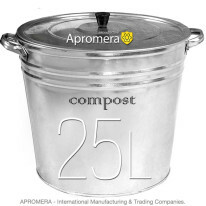 Capacity is one of the most important criteria – it can range from 5 to 120 L. Small Galvanized Metal Pails of 5L and 7 L are perfect for collecting fruits and vegetables. 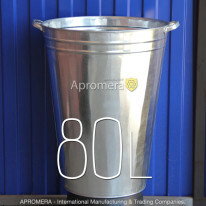 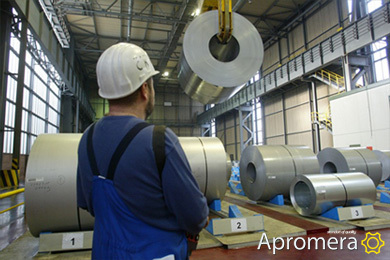 Large containers of 60, 70, 100, 120 L are used in construction to prepare various solutions. 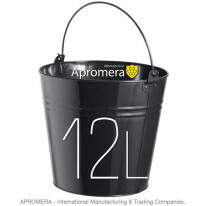 But the most popular among gardeners in Britain are Colored Steel Buckets and Zinc Pails of 9L - 12L and 15L – they are convenient enough for one person to carry, and may be of help not only in the garden. 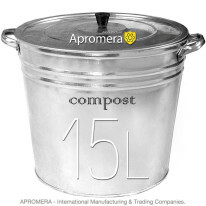 The following important characteristic is a form of a container. 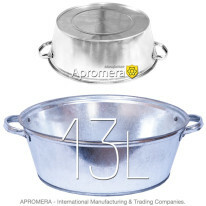 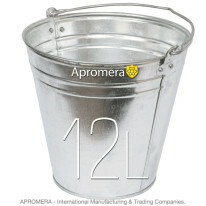 Zinc Buckets usually have a circular shape, but their volume does not exceed 32L. 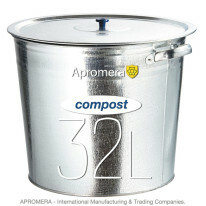 Containers of this form are convenient during the housecleaning. 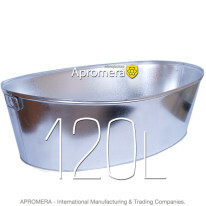 For free transportation of various cargo and liquid Galvanized Metal Buckets can be supplied with Lids and various types of handles that can be located on both sides to be carried in both hands, and have an arc-shape for one-hand carrying. 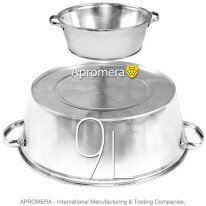 To find out more information about the products, read or write reviews about the goods offered and see wholesale prices, please, visit a product page. 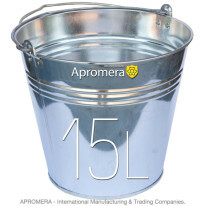 To buy Galvanized Metal Buckets Wholesale or Galvanised Metal Pots, Zinc Tubs, you can use a special form of an online store, or make a free call +442032898548.